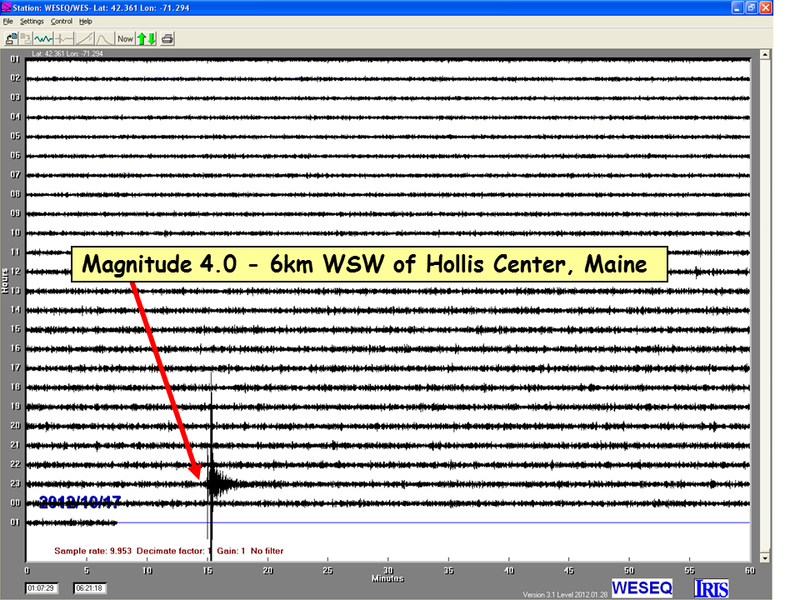 BC-ESP seismographs recorded a Magnitude 4.0 earthquake located 6km (4miles) WSW of Hollis Center, Maine. If you have felt this earthquake, please fill out a felt report at the following link: Did You Feel It? 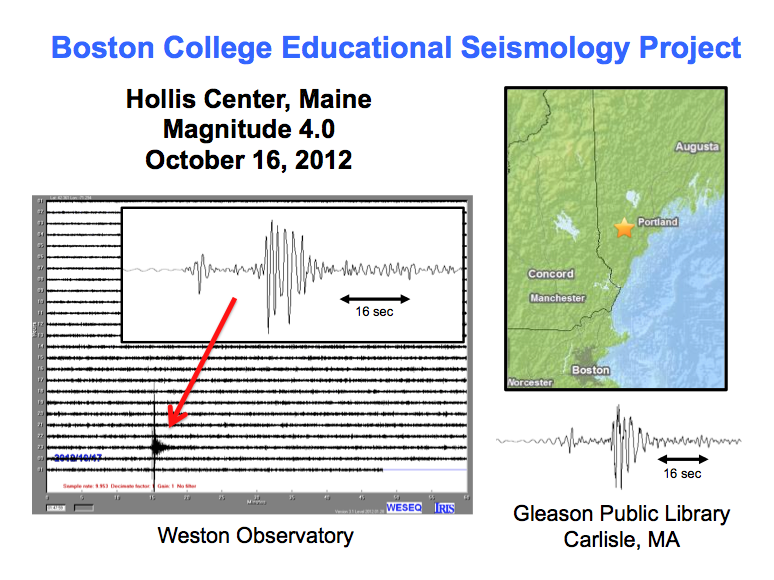 For more information on earthquakes in Maine, please go to Maine Earthquake Information. 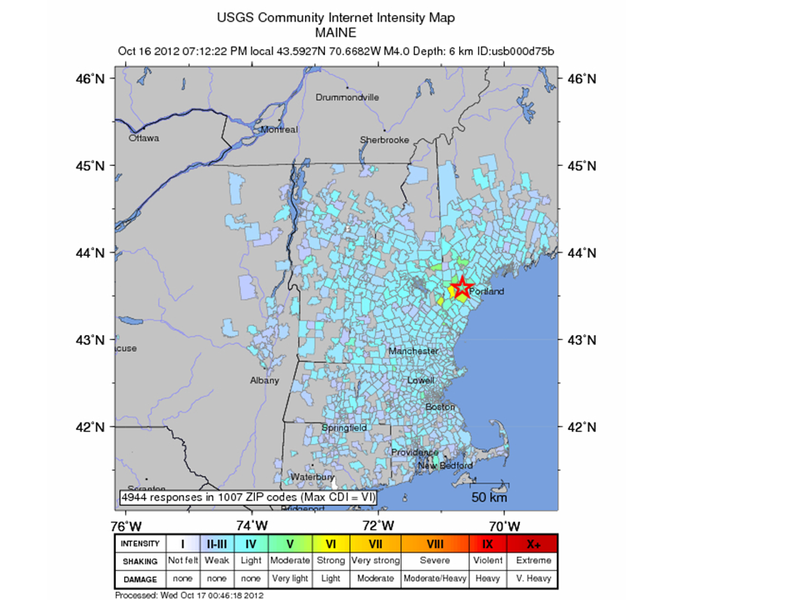 To view an Intensity Map displaying the felt areas, please go to USGS Community Intensity Map. Filters on this seismogram were removed to view more of the high frequency seismic waves. This entry was posted on October 17, 2012 at 12:54 am and is filed under Uncategorized. You can follow any responses to this entry through the RSS 2.0 feed. You can leave a response, or trackback from your own site.